The #BreakingPoint campaign exposes the crisis in Council finances after £16bn in cuts from the UK Government since 2010 – and warns more Councils may follow Northamptonshire into bankruptcy. Councillor Andrew Morgan, Leader of Rhondda Cynon Taf Council, has joined with Labour Councillors from across the UK to call for a real end to austerity for local councils. Tory cuts mean councils have lost 60p out of every £1 nationally that the last Labour Government was spending on local government in 2010. Pressures on councils right across the UK are increasing – last year councils were forced to spend an extra £800 million on vital services to protect children, and with an ageing population and growing demand, adult social care faces a funding gap of £3.5 billion. Across the UK only 14% of council workers are now confident that vulnerable local residents are cared for. Rhondda Cynon Taf has had to make tens of millions of pounds in savings since 2010. 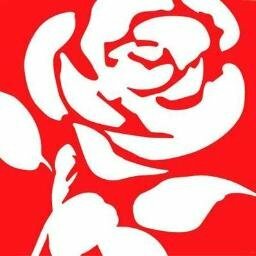 The ‘Breaking Point’ petition is the most-signed petition of Labour Councillors ever – with over 5,000 Labour Councillors calling on the Prime Minister and Chancellor to use the Budget to cancel a further planned £1.3bn cut to councils, and to provide an immediate cash injection to stop children’s services and adult social care from collapsing. It has been signed by almost every Labour councillor in Rhondda Cynon Taf and has now been handed in to 10 Downing Street ahead of the Budget on 29th October. “The Breaking Point campaign has the RCT Labour Group’s total support. We’ve joined together with fellow Labour councillors from across the country to send a sharp warning to the Prime Minister and Chancellor that austerity is driving councils to the point of total collapse. 1. This is the most-signed petition of Labour councillors ever – with 5,137 signatures collected in less than two weeks (as of 9am Weds 17th October), equivalent to 85% of all current Labour councillors in England and Wales. It was organised by the Local Government Association (LGA) Labour Group, led by Cllr Nick Forbes, leader of Newcastle Council.